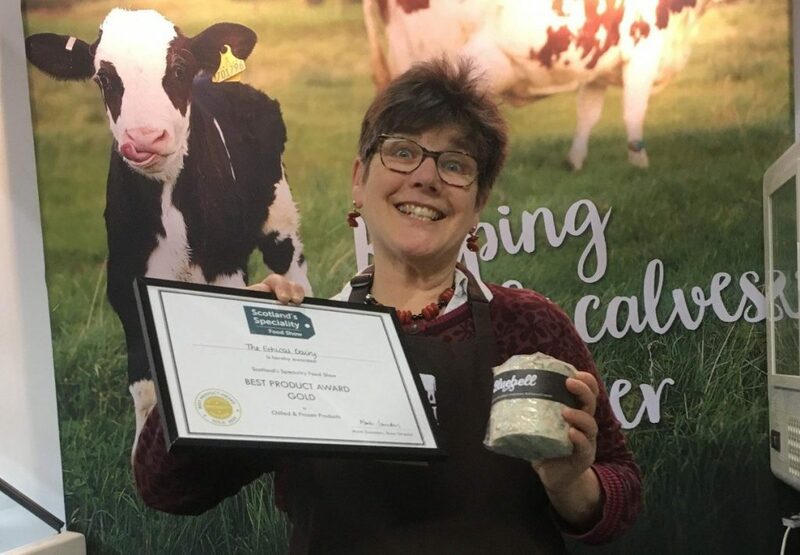 The Ethical Dairy’s Bluebell cheese has won ‘Best Product Award’ in the chilled and frozen category at Scotland’s Speciality Food Show. Held at the SEC in Glasgow, the event is Scotland’s largest fine food and drink trade show. The annual awards seek to highlight the Scottish products that are most highly rated by industry buyers and food experts, with Gary Maclean, Masterchef Winner and Scotland’s National Chef, amongst the panel of industry judges. Bluebell is the fifth cheese to be launched by The Ethical Dairy. Based at Rainton, alongside Cream o’ Galloway, The Ethical Dairy makes cheese from milk farmed by the pioneering cow with calf method. This means the calves stay with their mums to suckle rather than being separated from them shortly after birth, which is the norm in dairy farming. Bluebell is a semi-soft blue cheese sold in individual truckles. It was created by cheesemaker Steven Palmer, whose late uncle was famous blue cheese maker Ernie Wagstaff of Stichelton Dairy. 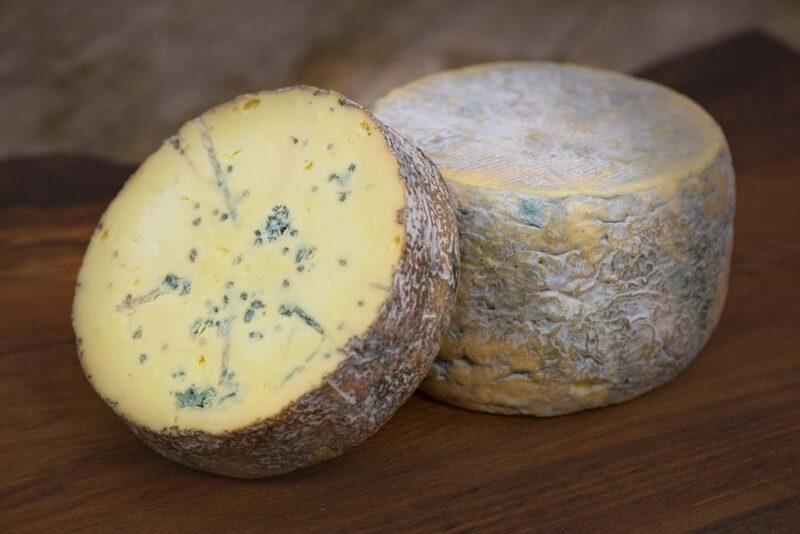 Launched in autumn 2018 the cheese sold out over Christmas and the company is planning to release a limited edition Blueheart version of the cheese for Valentine’s Day.